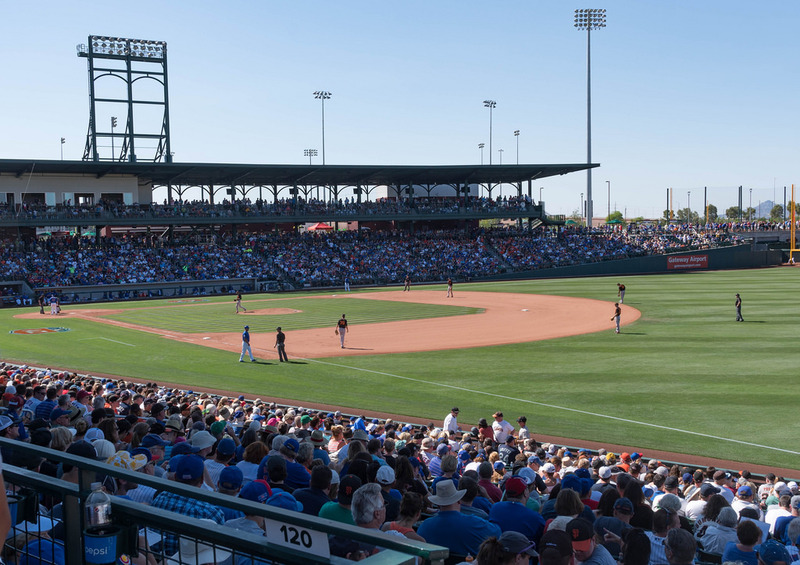 In 2014 the Chicago Cubs opened the newest ballpark in the Cactus League, providing fans a new ballpark to escape the wintry weather in Chicago. The $99 million ballpark has a total seating capacity of 15,000 with 9,200 permanent seats in the main seating area and additional seating in the outfield lawn and patio areas. Named Sloan Park after Sloan Valve Company bought the naming rights, it features touches from Wrigley Field including a brick wall behind homeplate.